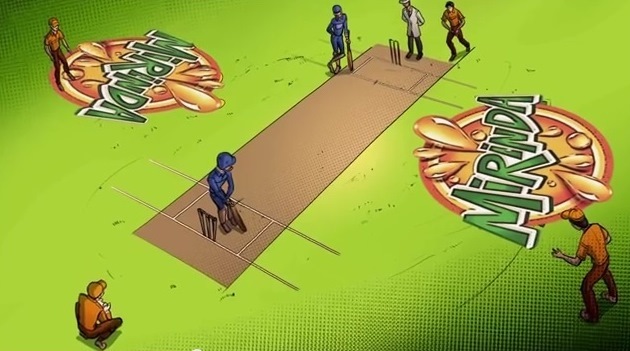 How Pepsi IPL got #CrashedByMirinda with a big dose of Pagalpanti! Popularity of video content is not a secret anymore. Its visual appeal helps viewers understand a brand and its personality. Also, different variables (dialogues, music, and sets) can change accordingly for brands of different personalities. The first thing, brands must keep in mind is its core message. It’s about sending across a clear message so much so that users can easily associate a clear keyword with the brand. Colour, colour which colour do you see? The video cleverly plays with orange, leaving you with a clear association of something fun and energetic. Kya ‘Baat’ kar rahe ho? Every video has a different tone when it comes to the script. In Mirinda’s video, the script is informal, casual, and random with a heavy dose of craziness. It clearly conveys the nature of the brand. A jingle or a characteristic tune can actually lead to greater brand recall. In the video, the fact that there is no characteristic jingle also sends out a message. In this video, the script is of primary importance. The background, the sets, the scenes add to the visual quotient which actually narrates another story while the central idea is being showcased. Mirinda Crashes the Pepsi IPL sent out the feel of an animated set, through its quirky characters and unique backgrounds. The message was clear – fun crazy times ahead. Mirinda clearly knows how to be crazy, just like their brand message. It’s time to make our own. Unleash your Mirinda pagalpanti here. Social Samosa is Looking for a Content Manager: A Multi-Tasker!